This tutorial describes the ONLYOFFICE installation process with Docker. Docker that allows you to deploy all ONLYOFFICE components on a single Linux machine easily and helps to avoid dependency errors. 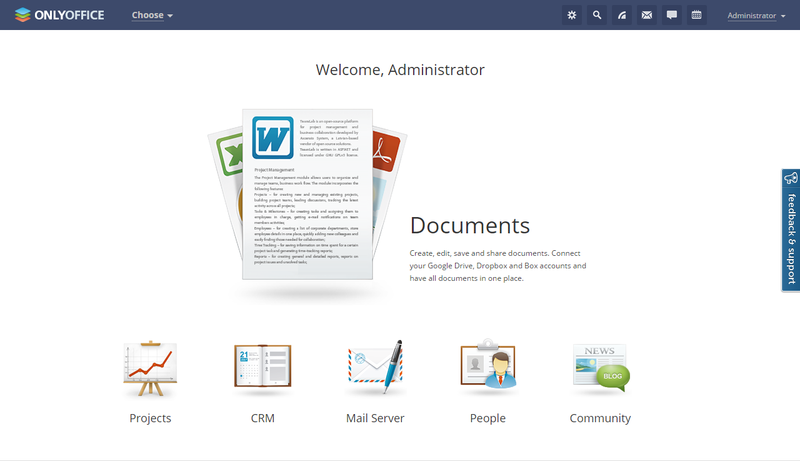 ONLYOFFICE provides a corporate office suite with integrated a CRM system, project and document management and collaboration tools, calendar, and mail. 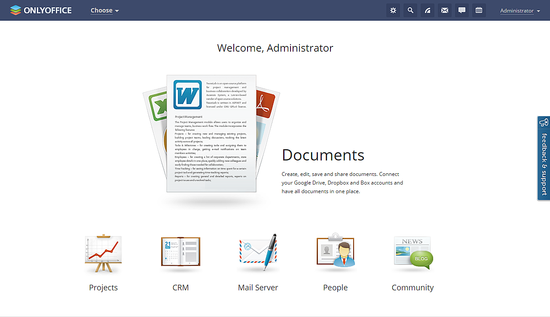 It is composed of three servers: Community Server that offers 8 modules and tools: People, Projects, CRM, Documents, CRM, Community, mail client, calendar and chat; Document Server that combines text, spreadsheet and presentation online editors allowing to co-edit documents in real time, review and track version history, and Mail Server. Review access rights to documents. Your machine should meet the following system requirements for ONLYOFFICE and should have some additional components installed. Docker: version 1.10 or later. The installation instructions for Docker can be found on its official website. Step 2. Run Docker and execute the following command to create the 'onlyoffice' network.docker network. Where yourdomain.com is your registered domain name. These commands will install all ONLYOFFICE servers with all their dependencies in one 'onlyoffice' Docker network, isolated from other docker components. Select the tool you need and start working. For more ONLYOFFICE installation and configuration tips refer to the official documentation. For virtual machines with ONLYOFFICE pre-installed, go to the official Download page. For source code and binary information, visit onlyoffice.org. For any support questions, refer to dev.onlyoffice.org. -p 80:80 is twice written in the commandline and will give an error. There are no prerequisties listed for what OS and whether I need LAMP or LEMP server pre-installed. What shoud the initial server side look like? The docker image contains everything. All you have to do is that you install docker https://docs.docker.com/engine/installation/ on your server first so that it can execute a docker image.